We’ve used extra virgin olive oil for cooking for years and historically opted for the economical store brand. After buying a bottle of Stonehouse California Olive Oil on a trip to San Francisco last year however, I was a convert to the “fancy” stuff, but not for cooking. Rather, we keep a bottle on hand for a hearty drizzle atop pasta arrabbiata or to spice up with garlic, salt, pepper, basil and crushed red pepper for the most sublime dip to accompany a rustic loaf of bread. It is an indulgent addition to meals or treats, plus more is more with this high antioxidant and Omega-3, low monounsaturated fat food. Lately, a bottle of Arbequina olive oil, which hails from Chile, is my go-to housewarming or hostess gift. It is mild and creamy with hints of herbs and cut grass. 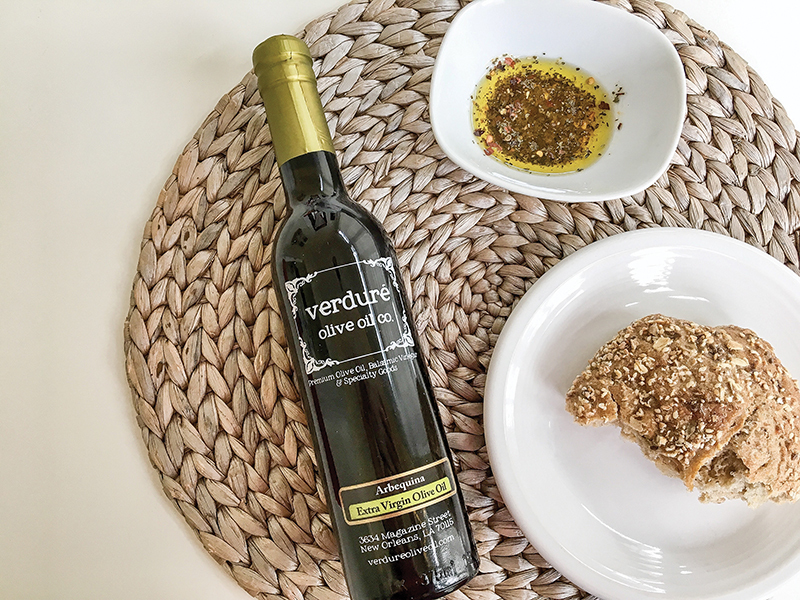 The flavor and texture reminds me of the California olive oil from our trip and is always on hand for $6 (60-milliliter mini bottles) to $32.95 (750-milliliter bottle) at the family-owned Verdure on Magazine Street (verdureoliveoil.com). For gifting, go for the medium, $19.95 (375-millileter) or mini bottles with pre-made spice mixes and ask for a gift-wrap.